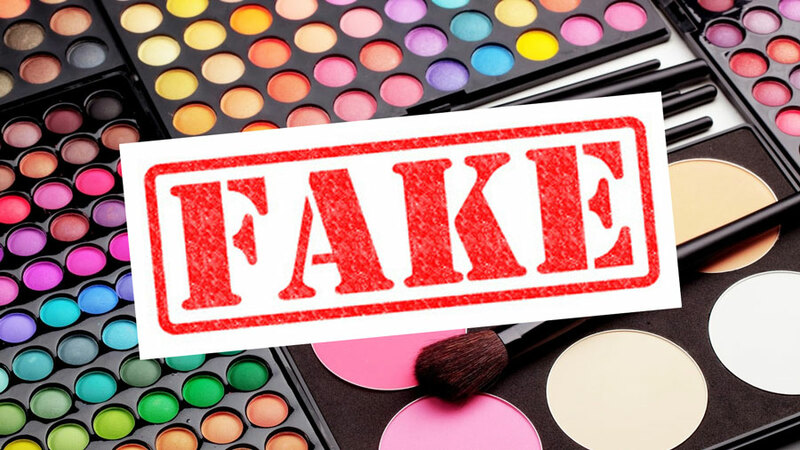 Today I thought I’d discuss fake cosmetics. There are so many fakes out there it’s unreal, but with prices ever increasing (MAC’s lipsticks recently went from an okay £11 a few years ago to a purse clenching £15.50 each) people are looking elsewhere for their high end and designer makeup fix. So to ebay we go, and it’s literally littered with fakes. 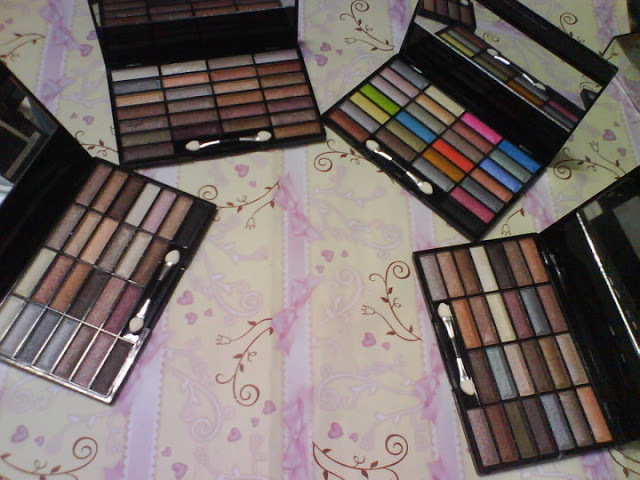 The majority of them being sought after high end brands such as MAC and Benefit. 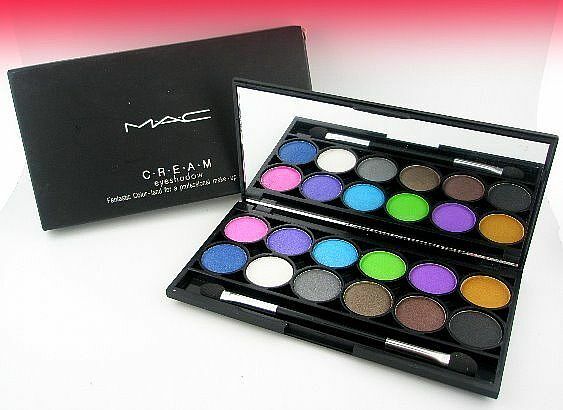 I’m a massive fan of eBay but I have been stung twice in the past with counterfeit MAC makeup. The first time I was buying a foundation… I had a makeover done in store and purchased an eyeshadow, when I got home I wished I’d gone for the foundation too so decided to chance eBay and try to find a bargain. I found the foundation I was looking for and I knew it would be the right colour as I’d just been shade matched in store. When it arrived it was terrible! The packaging and compact looked as they should, but the colour was so off, it was completely orange! It also smelled really strange! I complained to the seller and got my money back, I think they’d realised they’d been caught out so were happy to pay me my money back and the cost of sending the product back to them. It was quite worrying though as the outer packaging and compact looked spot on, even though the product was clearly counterfeit. The second time I got stung I bought a bundle of makeup with some MAC lip glosses in, which I only went for because it was cheap and because I wanted the glosses. The shades weren’t specified but I went for it anyway because it was a complete bargain. When the parcel arrived and I inspected the glosses and they all had numbers instead of shade names and I instantly knew they were fake – and that I was an idiot for being stung again. I complained to the seller who was happy to confirm that yes they were in fact fakes, and she’d bought them from China. She seemed completely unaware that selling counterfeit goods was illegal. When I said I wanted my money back she asked me to post them back to her but refused to pay my costs. I wasn’t going to be out of pocket when this wasn’t my fault, so I took it to ebay and they found in my favour. I got a full refund and got to keep the glosses – which went straight in the bin. 1. Know your brands. If you know what real MAC makeup looks like and try to keep up to date with their collections, you’ll be better informed to spot fakes. You would know that Lady Gaga bought out two Viva Glam lipsticks, and two glosses. She did not bring out a massive range of lipstick colours. 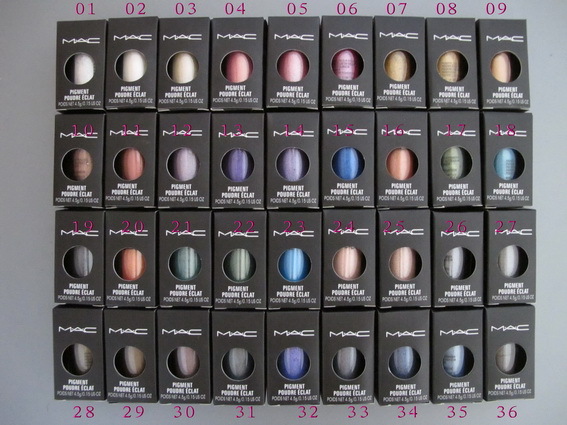 So you’d know that set of 24 MAC Lady Gaga lippies you’ve just seen on ebay are definitely counterfeit without question. If you keep up to date with products, you’ll be able to sniff a fake a mile off. 2. Know your shade names. With MAC makeup especially (apart from foundations which have names such as NW20 and NC15 for example) all products will have shade names. 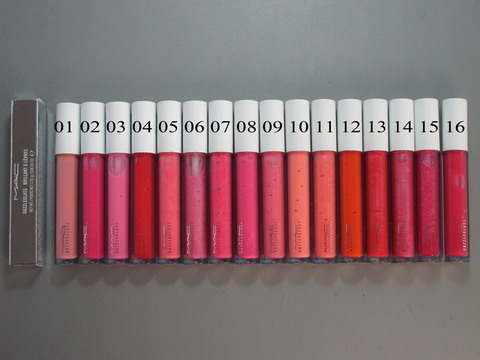 So a lipstick would be called ‘Creme Cup’ for example, not ’02 Pink’ or just a number. MAC do not use numbers instead of shade names. 3. Check what else the seller is selling. Do they have 25 of exactly the same item to sell? I would take this as a warning sign. 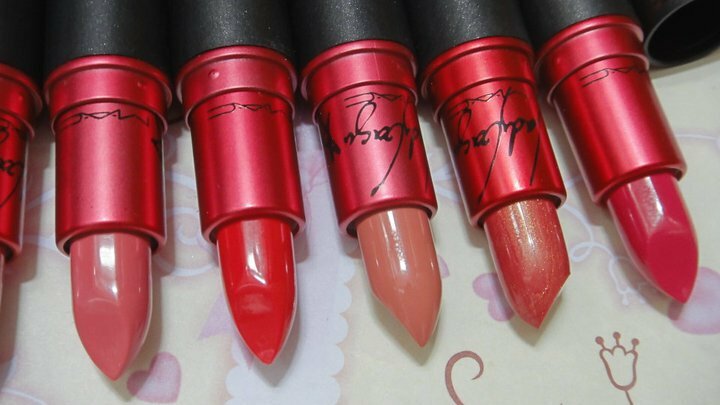 Remember companies like MAC do not sell wholesale, so ebay sellers that offer a massive range of MAC makeup are more than likely selling fakes. And where is the seller based? Many fakes originate from eastern countries so steer clear from sellers located in China and Taiwan. Make use of a site called Goofbid to check sellers buying and selling history. 4. Always pay by Paypal. When you checkout on ebay make sure you pay via Paypal on every occasion. Some sellers may contact you asking to send a paypal payment direct, or even to send a bank transfer. This should ring alarm bells as any kosher seller would be happy with the standard paypal payment. If you pay via Paypal goods and services you are protected in case anything goes wrong with your transaction, from the item not arriving to it turning out to be fake, you will receive help to sort out the problem. If you pay via Paypal friends and family this is counted as a ‘gift’ and you are not covered for your purchase. If you have any issues it’s worth opening an eBay case too and their customer services team will get involved if necesecary to help you out. 5. Be amicable and polite. If things do go wrong and you end up with a fake, always try to sort it out with the seller first, and always be polite. Deal with them via ebay messages (so eBay have a record of your conversations) and if you can’t come to a resolution, eBay customer services will intervene and they will have a record of the conversation to refer to. They will be more likely to help you if they can see you’ve been polite and amicable to the seller. Remember that selling counterfeit items is ILLEGAL therefore you shouldn’t be out of pocket for any transaction where you’ve unknowingly bought a fake item. The seller should refund the original sale amount, the original postage amount, and if they want the item back, they should pay for this too. If the seller insists you must pay to post the item back to them, REFUSE. They should cover the cost of this as otherwise you will be out of pocket. If you convey this in a polite manner, the case should end in your favour. Previous Post You Spent How Much On A Nail Polish!? GREAT POST! I’ve never been caught out ob eBay but I know people who have! Not beauty related but even my boyfriend was sold fake Pandora on Amazon as the seller said he was an official seller. When I was given the charm he bought me I saw it was fake straight away and told him to get a full refund, which he did. It’s a joke that people think they can con people this way! Ahh that’s such a shame, pretty much everything can be copied these days. I personally just say go with ur gut. As with anything really. But I only buy cosmetics on eBay when it’s like ‘one item’ from several brands. But I doubt I’d risk the lux cosmetics market. far too many deals from legit online retailers. But there’s a location trick sellers have on eBay that nearly caught me the other day. They’re based in China but claim to be UK when you click ‘UK only’ and have post from UK, e.t.c. I think I noticed because it had a long 3 week delivery so I started fishing around.